Open Library is an amazing non-profit project (partially funded by California State Library). It is trying to catalog book (and e-book) titles and their locations, thus creating a gigantic library. As Open Library owners describe, “One web page for every book ever published”. The idea is to be able to find any book’s location – be it in a store, library, or in electronic version. Open Library is an open project. Anyone can (and is encouraged to) participate: adding book titles, editing the existing catalogue, fixing typos. Also, their software and documentation are also open. There is no registration required for downloading free e-books. However, you need to register on Open Library if you want to participate in the project. I have to warn you: finding where to download a free e-book is not really intuitive in Open Library. To find a free e-book, you need to type the book title/author’s name in the search bar (there is also an advanced search option, where you can also look for a book by ISBN, subject, place, person, or publisher); check “Only show e-books”. On the results’ page the list of books will have one of three icons – borrow, DAISY, or read. All the available e-books have the “read” icon beside the book title. Press “read”. It should open the book in read-online mode. Press the icon “i” on the top right corner, next to the “play” option. It will open a menu with available e-book formats: PDF, Plain Text, DAISY, ePub, and finally, my favorite, “Send to Kindle” option. Ta-da! As you might have noticed, other than “read”, there are two more icons appearing in the Open Library search results: “borrow” and “DAISY”. “Borrow” finds the book in the closest to your current location library (it searches by zip-code); and DAISY is a format for vision-impaired readers. According to Open Library, DAISY offers “the benefits of regular audiobooks, with navigation within the book, to chapters or specific pages.” You can find out more about DAISY on their official website. As far as I understand, DAISY format is not that easily accessible. One needs to get a key issued by the Library of Congress NLS program. Quite frankly, I think I’m very impressed with Open Library’s book catalogue idea and its execution. This entry was posted in Books, E-Books, Free Kindle Books, Free Kindle E-Book via Whispernet, Kindle Books, PDF, Whispernet and tagged Amazon, ebooks, free ebook, Free Kindle E-Book by Sofiya Melnykova. Bookmark the permalink. I’ve trying to find a ‘read’ option for many children science books in the open library to send my kindle but none where available among the ones I’ve searched. IS this a special category which is for sale only? Did you check “Only show e-books” before searching? (I’m actually not sure about children’s book availability. They might be unavailable due to copyright issues). Hello! Thanks for noticing Open Library – I run the project, so can hopefully help clarify a couple of the tricky bits. However, you need to register on Open Library if you want to participate in the project. Open Library is sort of like Wikipedia, but for books. That means that anyone can add or change information on the site, or add new records into the system. I suppose it depends a bit on what you mean by “participate” but if it means “make Open Library better,” then anyone can do it! You don’t need to sign up for an account, but there’s an increasing set of features that are only available to Open Library account holders, like the Lists feature. Yes, you’re right, and that’s something we’re trying to improve. There are a few quick ways to look for books to read now, for free. I appreciate your breakdown of how it works today though – it’s always good to read how people are interpreting what we’re up to, and how we’re designing things. Pardon me if the description below is a bit long, but, it’s complicated! The “Only eBooks” checkbox when you search is a good place to start. That will show you results for books that Open Library knows it has an electronic version of. We have over 1,000,000 eBooks available today for free download. Yay! You need to look for the “Read” icon – that’s the green open book one – any time you see that icon, you can click it to get to the free in-browser version. You can also click through (on the cover or title) alongside whatever’s attached to the icon to see what we call a “Work” which is a page that lists any/all Editions Open Library thinks are connected to it. A “Work” is like a general umbrella description of the thing. 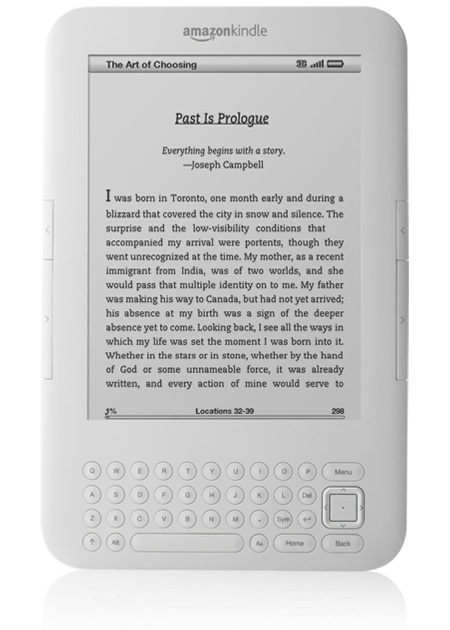 There might be more than one Edition of a Work that is available in eBook format. I totally acknowledge that’s still a bit clunky, but hopefully those direct links are also surfaced in the UI around the site.